Garfield golfers hit the links in style. It’s a pleasant fall afternoon on the Jefferson Golf Course, where a high school golf match commences. You may see your typical group of players decked out in sophisticated polos in their school colors. Look to your right and you may see another group of players proudly sporting their goofy Hawaiian shirts. This stark contrast in match attire is an intentional move made by the Garfield golf team. 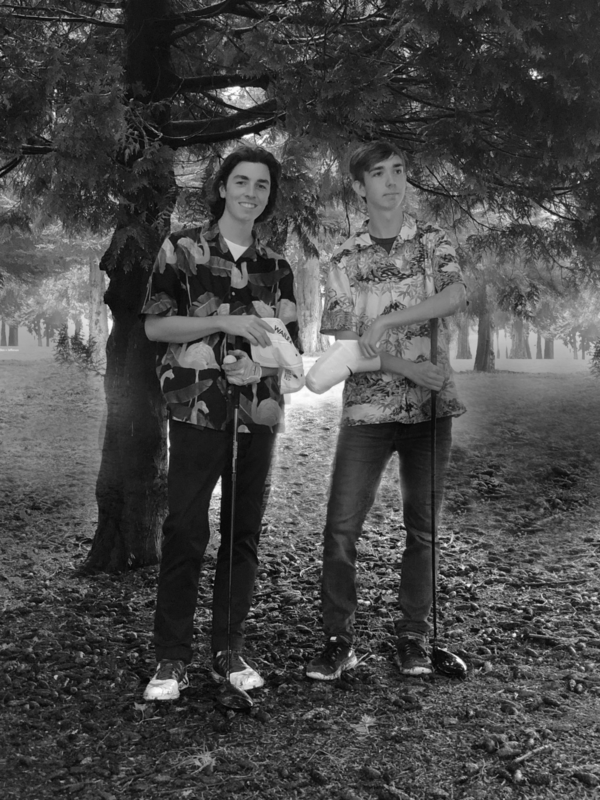 Flaunting these floral prints, the playful Garfield golfers completed yet another noteworthy fall season. “The boys team went 4-6, and we ended up beating most of the public schools,” senior captain Mitch Battison said. The girls team fared similarly, winning several matches. Many members from the boys and girls teams qualified for the Metro and District Championships. Sophomore Griffin Thoreson was just four shots away from the state championship. Even with the matches they lost, both the boys and girls teams put up good scores, especially when competing against powerhouse teams who have the resources to fund the sport’s high expenses. The Garfield golf team challenges the socioeconomic barriers of the sport by providing gear and other essentials to those who need it. In addition, the team prides itself on being welcoming to all members, even if they’ve never played the sport before. Take Battison for example. He joined the team not having played golf before. “We all start as beginners and we have the chance to get better without the underlying pressure to be the best,” Battison said. He also noted that the vast majority of the team had very minimal playing experience when they joined. So if you are wanting to take on a new sport at Garfield and be a part of an easy-going playing environment, golf might be the perfect fit for you.